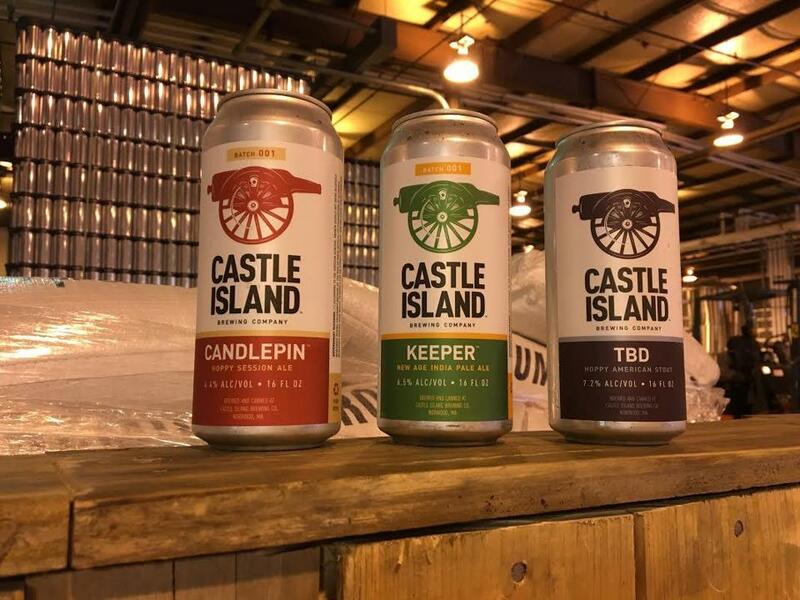 Castle Island Brewing&apos;s first three beers are Candlepin, a hoppy session ale; Keeper, an American IPA; and TBD, a hoppy American Stout. There might have been some cheap industrial space left in South Boston back when Adam Romanow started dreaming up his craft brewing business at least four years ago. But by the time Romanow was ready to sign a lease for his Castle Island Brewing Co., finding an affordable place for a brewery in his rapidly gentrifying neighborhood proved to be impossible. He gave up on Southie last year, and looked to the suburbs instead. Finally, he realized his thirst could be quenched in Norwood. Last week, Romanow ended his quest, opening a 20,000-square-foot brewery at 31 Astor Ave., in an industrial area near Route 1. Six people are working there now. Castle Island is starting out slowly by selling its beers directly to consumers, using 16-ounce cans: A four-pack of Candlepin ale or a Keeper IPA sells for $10.80, or $12.80 for four cans of the TBD stout. Romanow has signed a distribution agreement with Massachusetts Beverage Alliance to start shipping to stores and restaurants in Greater Boston in 2016. Castle Island does its canning in-house, and may expand into large-format bottles down the road. Unlike the spots in Southie that he considered, the Norwood spot met all his needs: loading docks, high bay space, parking. The clincher, Romanow said, is the sign that was hanging above the loading docks: “If you’re not proud of it, don’t ship it.” It’s become sort of a company mantra.